The Somei-yoshino cherry blossoms are in full bloom, just as the name for the new imperial era is being announced in Japan. History is about to turn to the next chapter. The last hanami (cherry blossom viewing) season is almost coming to an end. In our garden, the weeping cherry trees, the double-blossom sakura, and the rare, green Gyoikou-zakura are all at their peak. The name of the new imperial era was announced today, nation preparing for its beginning on the May 1st. It is fficially called the Reiwa period, and according to the news, it has been selected from Manyoshu, an anthology of Japanese poetry in the 8th century. It’s said that this is the first time to have the name of imperial era to be taken from this book. while being more concious of “Japan”, and refine the ability to produce events at Happo-en. This means that there is only one more month left in the Heisei period. There is only about one week remaining of the last hanami of the Heisei period, with Somei-yoshino cherry blossoms in full bloom. 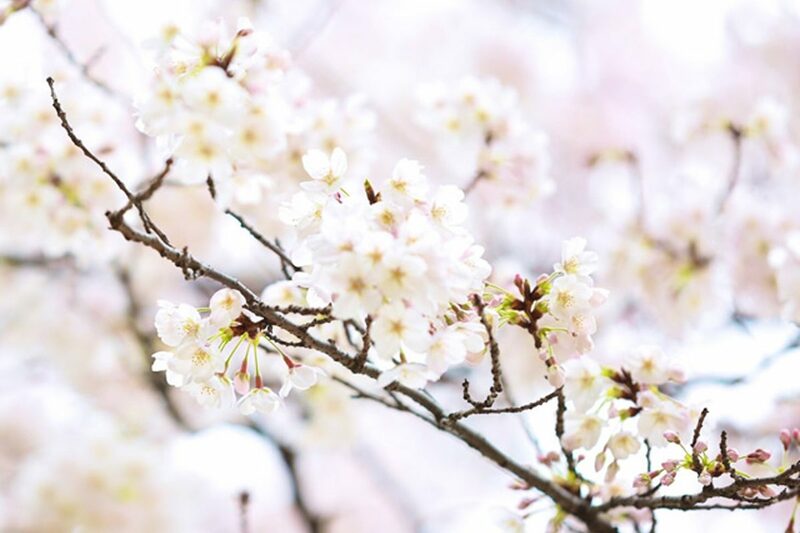 The next in line are the bright pink weeping cherry blossoms and double-blossom sakura, as well as the gentle green of the Gyoikou cherry blossoms. 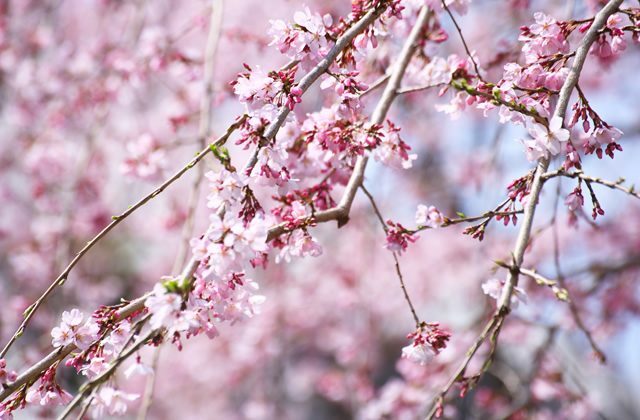 Gyoikou is a type of multi-layered cherry blossom. It originated in the early Edo period (1603-1868), and the name literally means the “the yellow imperial garment.” During the Heian (aristocratic) era, the color chartreuse was considered to be noble and elegant. Thus, the yellow-green sakura was given its name in the mid-Edo period for resembling such refined taste. The uniqueness lies not only in its color but also in how the color changes over time. As the flower blooms fully, the center turns pink. 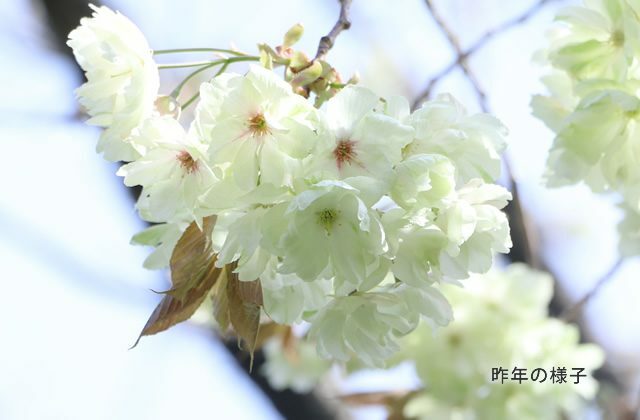 Just as Gyoikou cherry blossoms change color, April is a month of gradual transition into the new period. We invite you to savor the change in our historical garden, leisurely taking in the last sakura before we turn to the next chapter of history.